Brewer Description: (from bottle) The <> logo certifies that this ale is brewed in a Trappist Abbey and that the majority of sales income is intended for social aid. 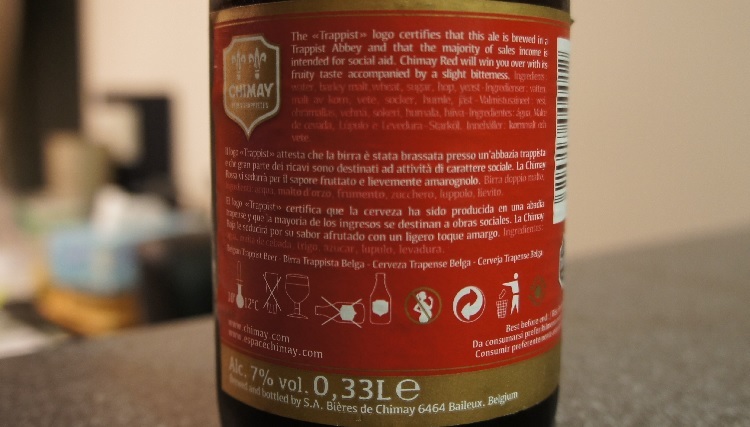 Chimay Red will win you over with its fruity taste accompanied by a slight bitterness. 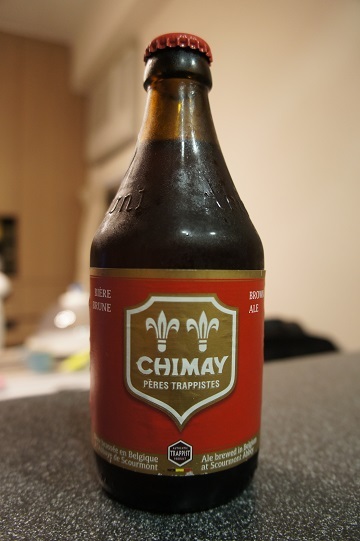 Intro: This was a 330ml bottle that was dated best before end of 2018 and poured into a Chimay goblet. Appearance: It pours a very hazy brown colour with a very nice thick cream coloured two finger head that dissipates very slowly but when it does, leaves a nice curtain lacing. Aroma: Aromas are fruity, mainly of dark fruits like plum, cherry, and fig. There is also some pear, apple and candied sugar and a hint of nuttiness. Taste: Fruity cherry and plum upfront with hints of banana and pear. There’s also some light malt caramel and bready sweetness followed by a nice light bitter finish. Mouthfeel: Medium bodied with moderate carbonation. Smooth creamy and slightly sticky. Overall: Admittedly, I used to think that this was just ok but I’ve grown to enjoy this beer the more I drink it. 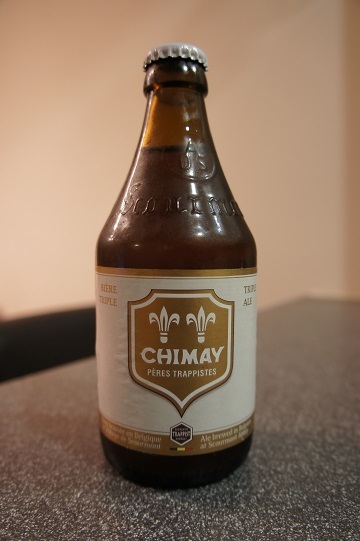 When I first tried it maybe ten years ago, Chimay Blue was far and away better and so I mostly bought that. 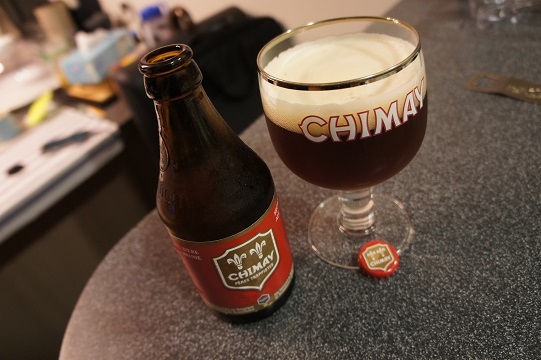 However, clearly my taste changed and the last few years Chimay Red became one of my staple beers. 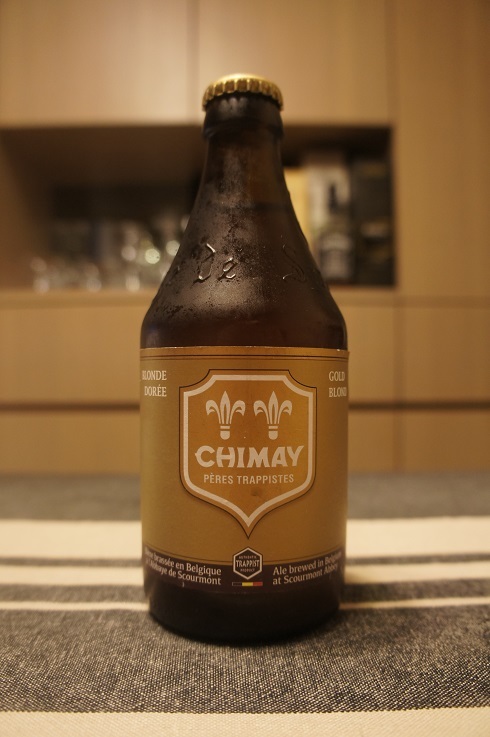 Brewer Description: (from bottle) The <> logo certifies that this ale is brewed in a Trappist Abbey and that the majority of sales income is intended for social aid. 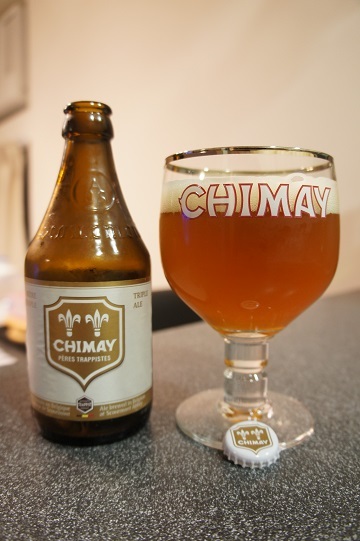 Chimay Triple stands out thanks to its flavours of hops and fresh yeast. 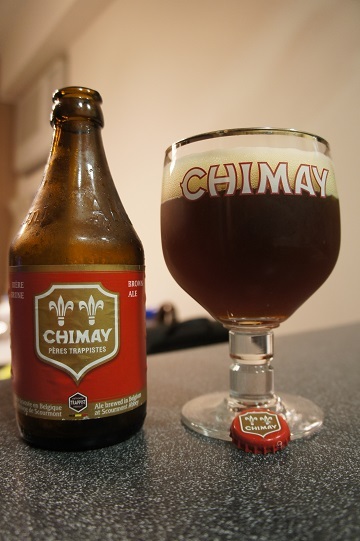 Intro: 330ml bottle dated best before end of 2017 and poured into a Chimay goblet. Appearance: It poured a hazy copper colour with a two finger cream head that has good retention leaving a thick curtain lacing. Aroma: Initial aromas of apple, pear and bready malts followed by a sweet banana and honey finish. Taste: Surprisingly strong alcohol taste, but also sweet candied sugar, banana, bread malts and some light apple and pear flavours. Mouthfeel: Medium bodied with medium carbonation and a creamy feel. 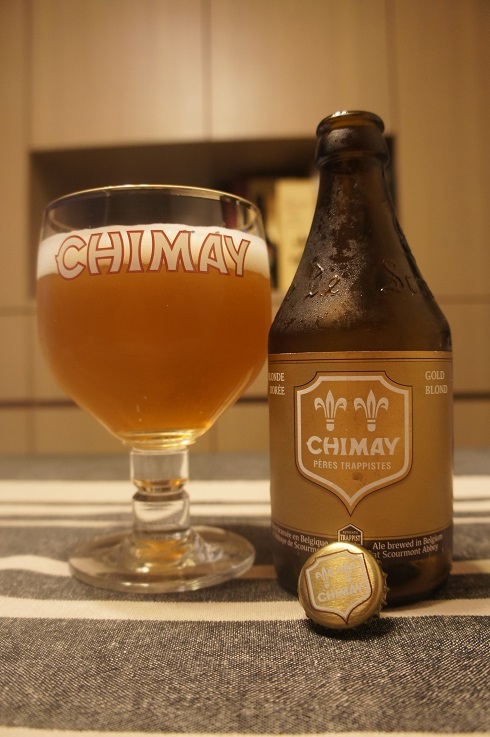 Overall: I’m a big fan of Chimay, but this was not one of the better tripel beers. Ultimately I thought that it was too boozy and everything just kind of got lost behind that.